"Red potatoes are tossed in oil and ranch seasoning and roasted until brown and crisp to make this effortless side dish." Place potatoes in a 1-gallon-size Glad(R) Zipper Bag and add oil; seal bag. Toss to coat. Add Hidden Valley(R) Original Ranch(R) Salad Dressing and Seasoning Mix and toss again until coated. 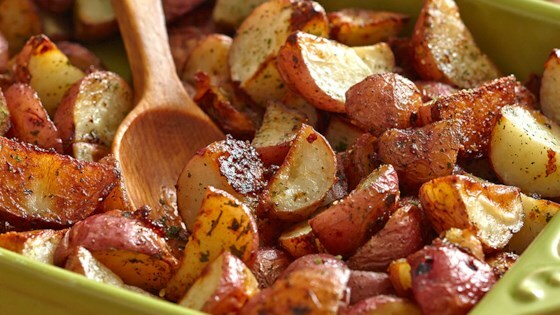 Bake in ungreased baking pan for 30 to 35 minutes or until potatoes are brown and crisp.